This site gives majority of life journey story as where he grew up and where is learned his work of art. Also, his goals towards his dream paintings. This site is helpful and informative in learning about Picasso's life. This site has information on Picasso's work of art and what each means. It is basically like a art gallery where you look at different images and get amazed by it. Most interesting thing to me was it had the prices to the images which explains how important each art plays its role. This image is named: Mandolin and Guitar. After reading the title of this image, the word guitar grabbed my attention and I look at the image right away and saw the guitar. Sometimes, when you don't understand the image but when you read the title then everything comes together. This is what is unique about Picasso and I like the work of art because it makes you think deeper into the image because you never it could be something else or another thing. Every image of his art is so special to me. In my humanities class, I saw videos of Picasso's work where he would draw his painting from the very start. You can see the overall process of one image turning into another. He was so talented that he didn't need to think, he would just move his hands then there is an another image that you can recall. Dale Chihuly is an artist from beyond. He creates such beautiful master pieces by blowing glass. Blowing glass is an art in and of itself. There are a lot of techniques that can be used to create intricate bowls, flowers, vases, pitchers, etc. Above is a shot of Dale Chihuly's infamous Bridge of Glass located in Downtown Tacoma, WA. He blows the glass out to make it look like flowers, and when Chihuly places flower-like bowls in the ceiling, he turns them upside down (open flower part down) to get the full effect of what the art looks like. 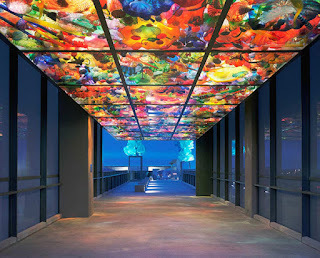 He shines light onto the pieces either from above or directly behind to illuminate the colors of glass. I decided to choose Dale Chihuly because when I was young, I was inspired by his ability to blow glass and create such beautiful masterpieces. I wanted to learn about Mr. Chihuly and how he created blown glass. I decided to take a WWU Glass Blowing Class the first quarter I attended Western Washington University. I was amazing that there were so many techniques that one had to learn in order to blow glass. It is not easy to do; however, it is fast and fun. You learn new techniques from each glass blower. I highly recommend this class to anyone who is interested!! 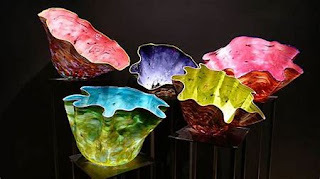 This link goes to Dale Chihuly's Website. On this website, you will find that Mr. Chihuly has an outstanding variety of glass pieces that catch an audiences attention. If you pay attention to Mr. Chihuly's artwork, he tends to place a dark background behind his glass artwork because it enhances the colors of the blown glass that he has on display. On this site, this site talks and shows what Mr. Chihuly's Garden of Glass is located, what it looks like, and a list of all of the events that will be held there. If you ever get a chance to visit the Biltmore House and Gardens, this is a sight to see! When I visited this, I was shocked at all of the amazing art Chihuly had created. I enjoyed taking photos of his artwork so that I could remember the scene at a later time. 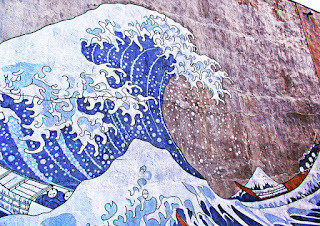 One of the most recognizable artists in the world, his paintings are known for their waves, and Mt. Fuji often being located somewhere within the picture. I chose to feature Katsushika Hokusai, most commonly known as just Hokusai because I have found his work to be fascinating, and important to me since I was in elementary school. 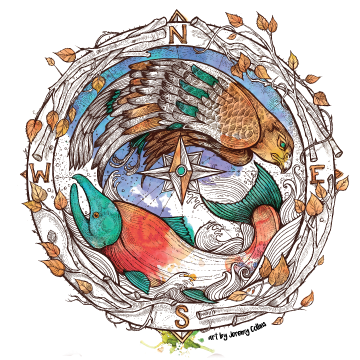 I was dissapointed to see an artist that has given me a great appreciation for the intricacies of nature not featured on this blog. He is famous for his woodcuts and has been described as influencing themes of Claude Monet, Renoir, and has been collected by countless famous artists as well. These links below help you gain a greater understanding of who Katsushika Hokusai was, and the impacts he has left on the world. This first link provides you insight into his famous paintings, and the struggles he conquered in his journey into the world of art. This link provides you with an exceptional view and outlook that there is never to late to start painting. Hokusai's Brittanica Biography provides a detailed description for those who are interested in a text heavy narrative of who Hokusai is an the achievements he accomplished throughout life. This web page is perfect for the Wikipedia lovers, and information rich understanding of a world class artist. This is my favorite take on this amazing artist, while it states a substantial claim that impressionism may never have happened without him. 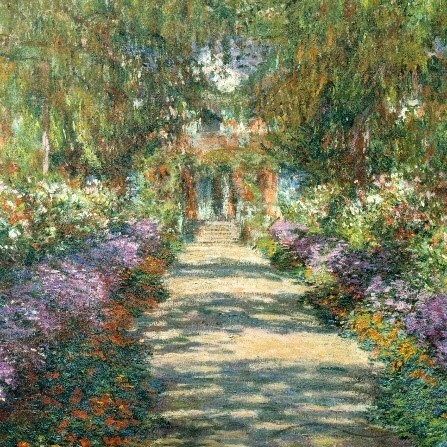 I believe this link is necessary for anyone with a passion for impressionist art, and those who have a favorite impressionist to understand where their styles came from. 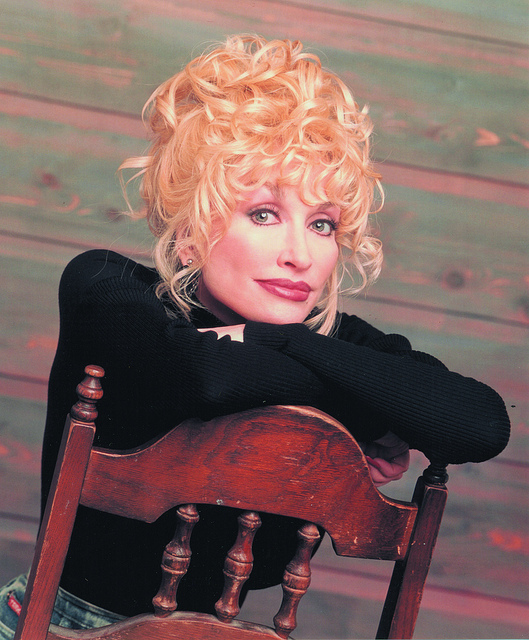 Dolly Parton is a singer/ song writer that is famous for more than just her music. Dolly Parton a legend in music. Dolly Parton has been an inspiration to me for as long as I can remember. 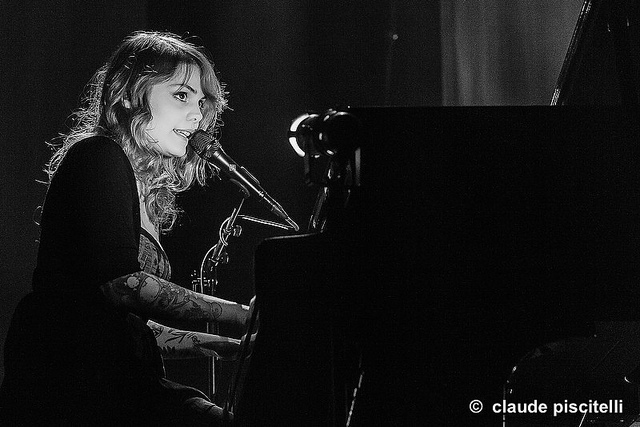 Her music is almost always a true story that she her self experienced as a child and an adult. Dolly Parton also played a leading role in the movie 9 to 5. She played a character who was trying to move up in her career. She never let anyone stop her, she has also been in a few newer movies. She acted Joyful noise, and still didn't let anyone get her down. I have always admired her spirit and work. She has lived through a lot and never let it slow down her goals or dreams. Dolly has a lot of female empowerment music and quite a few religious pieces too. Dolly has left her mark on quite a few young artists. This site has a lot of details about the life Dolly has had. It is a common site but it note when and where she was born. This is Dolly's personal website. It has a whole section on her career and her milestones. It lists all the books she has written and movies she has been in. This link is to a biography website that did a piece on Dolly. It again has details like when and where she was born. It also has details about how she got her start in music. 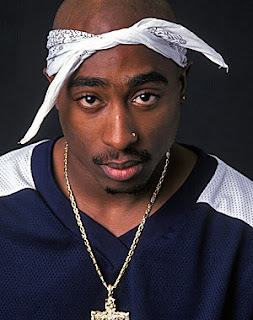 Tupac Shakur or just 2pac is a very iconic rapper of the 90s. Coming from East Harlem Lesane Parish Crooks (birth name) had a rough childhood as a lot of his family was going in and out of prison. It wasn't till his family moved to California that he started to make a difference. He wanted to rap about his reality and the reality of so many others without sugar coating it or making it seem nice. He died at the age of 25 and even though he died so young he was said to be one of the most influential rappers of all time. To me, he is an inspiration in a way that he stood up for himself and his people. 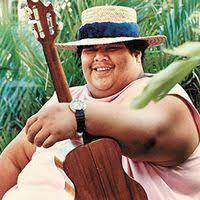 He gave the silent a voice and the music he produced was played globally. Other rappers like NWA or Snoop Dogg or even his record label Death Row help make that difference too. Yes he did have flaws and he also went in and out of prison for making dumb decisions but the impact he made on the music industry and in american culture was huge and he will still be influencing rappers and other artists even today. The picture to the right is from the Rolling Stones and with the link that I am going to put in will be Snoop Dogg talking on Tupac's behalf as he gets inducted to the Rock and Roll hall of fame. Snoop Dogg gives his personal insight on how he met 2Pac and how they bonded as friends and artists. Right now Snoop Dogg is still one of the biggest and best rappers that have been around for a long time. He has witnessed a lot and also been through a lot as well and it's very cool to see him talking about another artist like they were brothers. In the next link that I will share is a biography on 2Pac. This sight tells you about his records, his offenses, he childhood, and who he is today. It also answers a lot of common questions that comes up when people talk about him. The famous question "Is Tupac still alive?" is also answered on there as well. Even though Tupac has been gone for a while, his music and other products are still being sold. 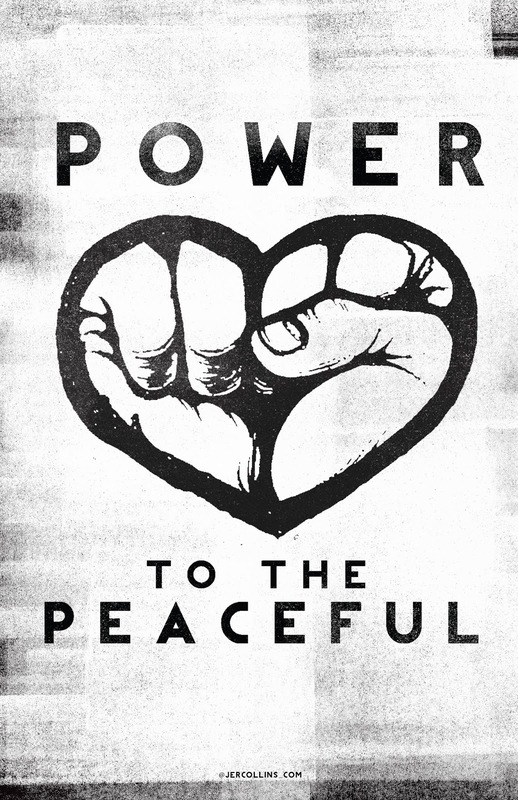 2Pac.com still has a big collection of T-shirts, hats, journal and even records. This sight also has stories of parts of Tupac's life like how his earlier songs were not actually songs they were poems and it shows us that. It also shows every song and album that he had and you can go listen to them and buy them. 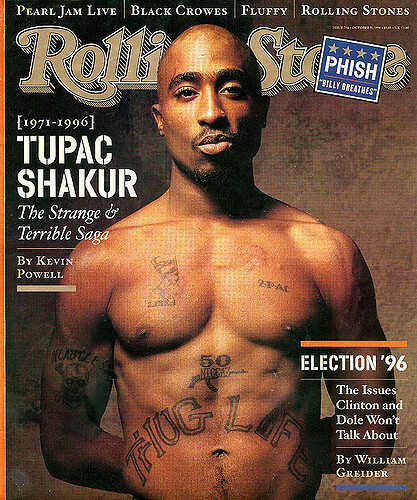 Overall, Tupac Shakur is and still will be one of the best rappers, actor, and artist of all time. Claude Monet was a revolutionary artist within painting. He influenced the Impressionism movement within France. Claude Monet has always been my favorite painter. From an early age I took painting classes and recreated many of his impressionistic paintings. I also went to France where I saw his amazing paintings at the Musée d'Orsay and the Musée de l'Orangerie. His paintings are amazing because they are painted from real life environments and are an impression of a moment. 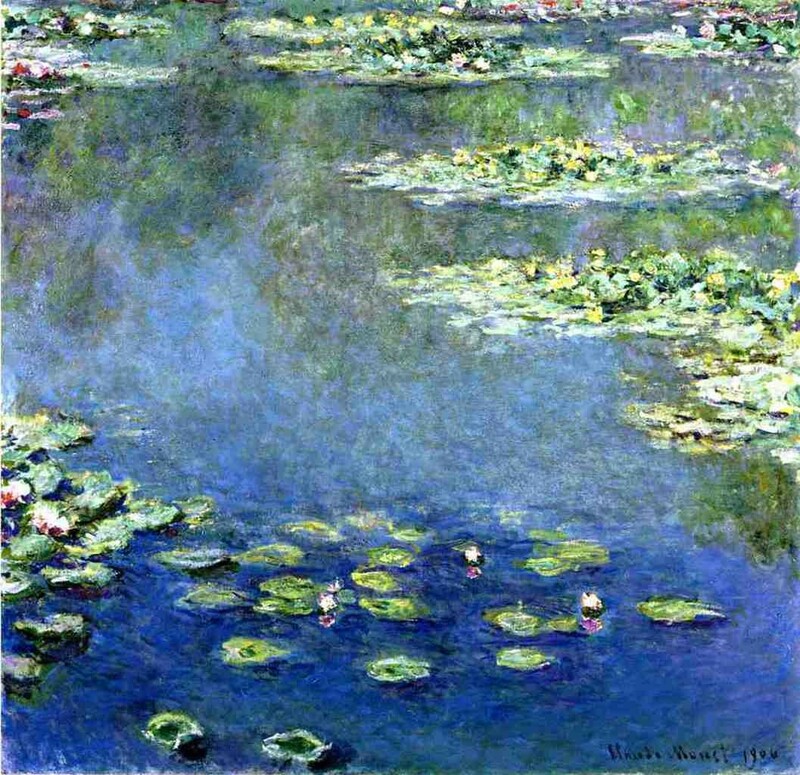 He loved to paint nature around him particularly water lilies in his pond at his home in Giverny. I love how messy the paintings are up close from the overlapping of colors and differing brushstrokes. The paintings then look put together when viewed farther away. What is also so impressive about his paintings are the impasto and broken brushstrokes which are the thick brushstrokes that create an uneven texture on the canvas. This gives his paintings another dimension to them. Claude Monet also uses very bright happy colors within his paintings. I think he is a painter that should be appreciated by his amazing contributions he made to the artistic community. 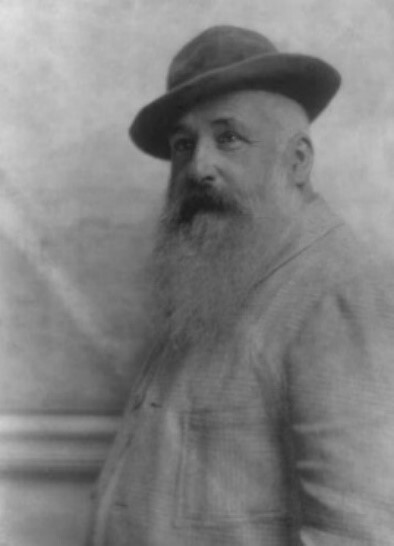 This website provides a biography on Claude Monet’s life. It also has each digital image of the painting collections he has made. This website is an excellent resource to learn more about Impressionism as well. 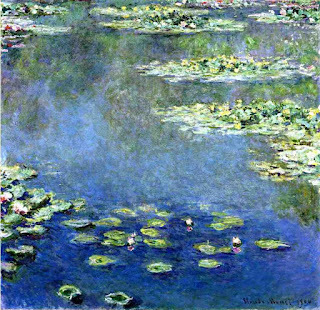 This website provides information on the history of Claude Monet’s Water Lilies Cycle. These paintings depict his garden water lilies throughout various seasons. The website also has digital images of the water lily paintings that take up an entire wall. This website provides resources on Claude Monet’s Life and his home in Giverny. The website provides information on how to visit Giverny and has a virtual tour to give to online visitors. I would like to bring attention to Natasha (Tash) Sultana, a singer-songwriter and multi-instrumentalist from Melbourne, Australia. This 22 year-old artist started crafting her musical talent at age 3 when she was gifted her grandfather’s guitar. 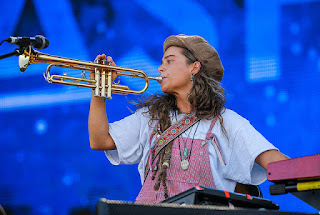 Now, she can play 18 instruments including the trumpet, drums, saxophone and flute. Tash had a breakthrough in 2016 when her live bedroom recordings on YouTube went viral. This is a link to her first post of “Jungle” which now has over 17 million views. 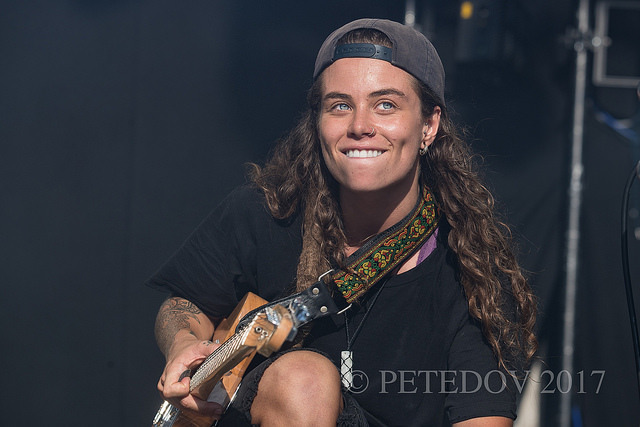 Lastly, this a link to Tash Sultana’s website that features her upcoming tours, merchandise and short biography. I enjoyed scrolling through the concert dates and seeing how many are already sold out. 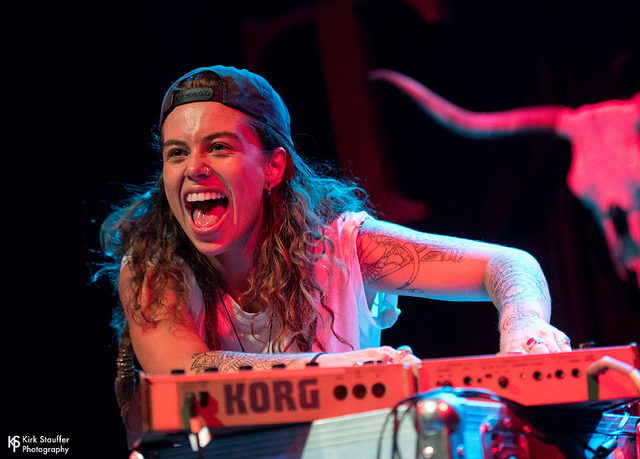 Tash is a badass powerhouse with an amazing voice and captivating presence. My boyfriend was the one to show me her video recordings and I have been a huge fan ever since. We were able to see her live in Seattle last October as she was wrapping up her tour. 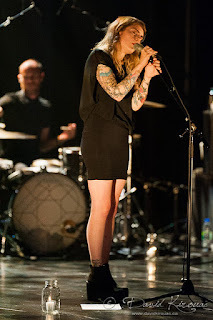 Watching her dance around barefoot on stage while playing various instruments, beat-boxing and singing remains one of my most favorite concert experiences. 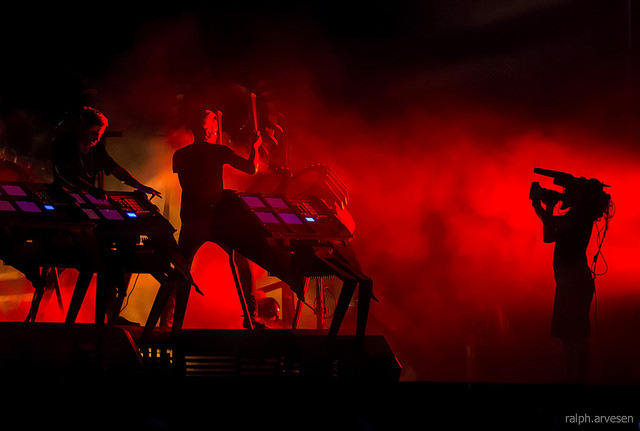 The Glitch Mob is one of the first electronic music artists that I ever had the pleasure of listening to. They kickstarted a love for electronic music within me through their first album ' Drink the Sea'. Edward Ma (edIT), Justin Boreta (Boreta), Josh Mayer (Ooah) are the three members of the band. Each had a sizable discography before forming 'The Glitch Mob'. I really enjoy their studio albums, but their live music is what makes them so inspiring to me. They have designed their own instrument called the 'Blade'. They recently upgraded the instrument to the Blade 2.0. 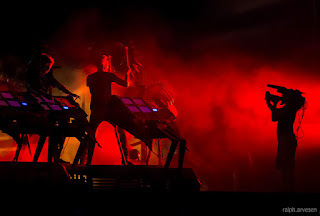 They perform their music on the instrument and it allows them to control the synths and percussion of each song making each performance unique. 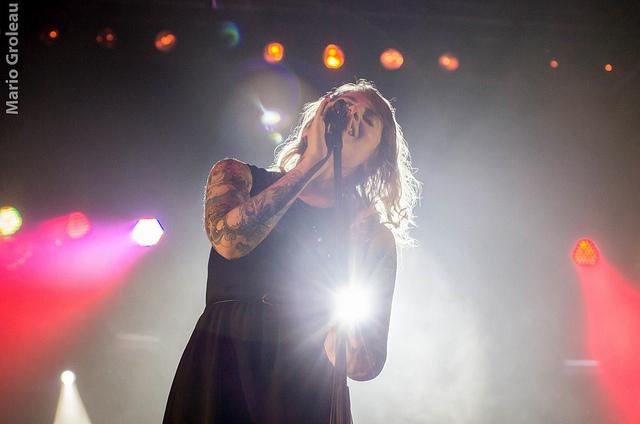 No song is identical to the studio version and it is a very special, intimate experience at their live shows. The wikipedia article on The Glitch Mob gives a very good background on the band. It tells their history and how they were formed. A very good introduction to the band. Here is a review of their new album, 'See Without Eyes'. It's a well written article explaining several of the songs and collaborations that were made during the album. 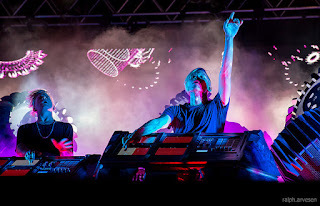 Here is a well done interview with the members of The Glitch Mob. It brings new insight into their relationships and insider information on their albums. This one is a fun read. They are a very modest group of people. Taylor Swift is the first American Singer I knew when I came to the U.S. I like her and I think I want to share my feeling with others because I found a lot of her songs are so real, it's something you can find connections in your life, at least I do. The lyrics are very attractive because of their true feelings. And you will find that people who like Taylor's lyrics are generally more emotional, sensitive. True feelings, this we all understand. a lot of words written in her songs are the stories of her and her boyfriends. They all have Taylor's own emotions in it. Many people think that her character was simple, immature, and self-willed, which caused the lyrics become so real. Although Taylor Swift has grown from a country girl to a strong woman, many people don't like the new Taylor compare with old Taylor, I like the old Taylor more, but I just want to share some of my opinions. This is her own website, it has music videos, news, and concert schedule, everything you want to know about her. This is her youtube page, all the video about old and new Taylor is in there. If you want to learn something general about her, this is a good place to learn some basic information about Taylor. Rihanna is a huge inspiration to me. 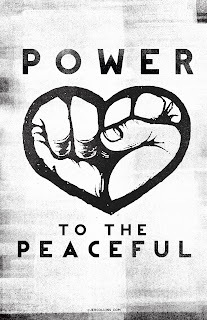 Not only is she a very talented singer and songwriter, she's outspoken about social issues that are important to her and uses her songs and stardom as a platform for that. She also has a very likable personality and I think a lot of her fans enjoy her very real personality that doesn't seem fake or like she's trying to be someone she isn't. One thing i like quite a bit about her is that she has started to act in the movies in the last few years and she's quite good. So i'm looking forward to seeing how she grows in this aspect. 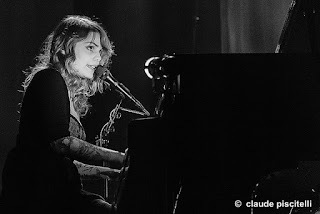 This is her personal site that has a lot of information on her, including pictures and songs. I especially like the background she'll give on some of her songs and her inspiration for them. Here's some background on the new Ocean's 8, movie which features 8 female protagonists, one of which is Rihanna. As i said above, this is something that is relatively new for her and it'll be interesting to see where she takes this. This page just has some general information about her career and life not from Rihanna's own viewpoint. Her family life is pretty interesting to hear about. This is general biography of Miranda's life up until this point. It includes his experience as an actor, composer, and singer. This article talks about Miranda's contributions to his community and the involvement he and his family have in providing programs for children for the arts. This website talks about all the awards and recognitions he has received. 3. 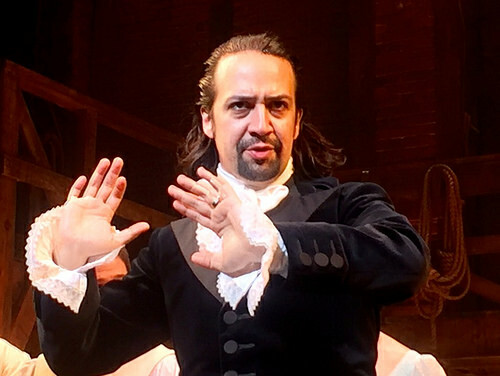 Lin-Manuel Miranda has changed the way Broadway perceives musical theater. He scored his first Broadway musical in 2008, Into the Heights, and won four Tony awards for that show. He then went on to compose a whole new style of musical, all in hip hop and rap, which had never been attempted before. His musical, Hamilton, took over the world by storm and inspired a new audience to discover and appreciate his hard work on this new form of art. He truly is an amazing composer, but he also starred as the leading role of Alexander Hamilton. He is a gifted rapper and singer and he has made monumental steps for the whole Broadway community. Ryan Woodward is not a very well known artist, however, I found him about 5 years ago and fell in love with his style, his broad set of artistic skill, and the pieces of work he has created. Some of my favorite pieces include the following. As an illustrator, he created the graphic novel "Bottom of the Ninth" which was made for the iPad. 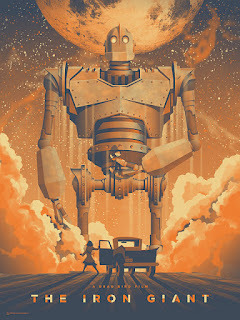 Alongside that, Woodward is most known for his animation skills; his talent has been used in various movies including The Iron Giant, Space Jam, and Osmosis Jones. He also is a well known and advent storyboard artist for many different movies including the Avengers, Cowboys and Aliens, and a various amount of others. In his line of work, Woodward was able to be nominated 3 times in Excellence in Production Design Award for his fantasy films. 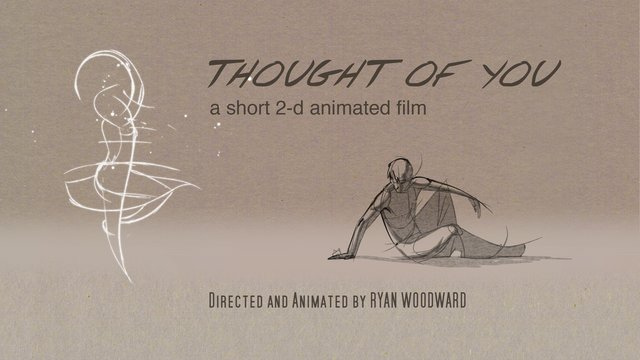 Below I have features his animated work "Thought of You" which is by far my favorite piece of art that he has created. It blends together Animation and Dance to create a wonderfully pleasing and emotional. I personally connect with this animation because I consider myself an artist and an avid dancer. The first time I watch it I was brought to tears and I still enjoy watching it over an over. 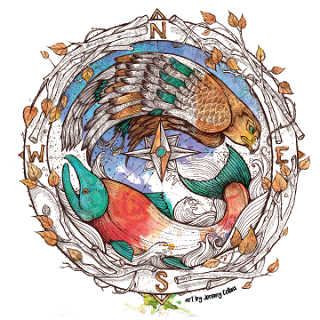 Here are some websites that give more insight to this wonderful artist. 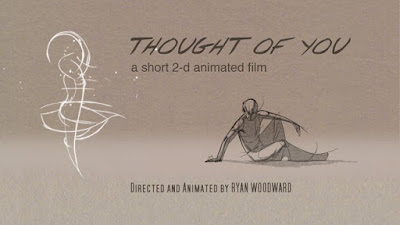 My favorite animation "Thought Of You"
This is his official website. It's basically an online portfolio containing all of his work and explaining where an why he was lead to do most of the jobs he has previously done. I love exploring this website looking at all of the illustrations and animations he has created. This is an official list of all the movies Woodward was involved in. This includes as a storyboard artist and as an animator. It also explains his three nominations for Excellence in Production Design Award. This is an interview with the artist after he finished his graphic novel "Bottom of the Ninth". He also talks a little bit about his well-known animation "Though of You" and his storyboarding with big movies. It's a great way to get to know him personally. I find Sofia Coppola to be both a compelling and incredible film director for many reasons. Some of my favorite movies she has produced include Marie Antoinette, The Virgin Suicides, and The Bling Ring. Aspects that I find make her a great director include her very distinct aesthetic which can be clearly seen throughout all of her films. Themes and patterns she uses to portray her aesthetic include the use of soft, natural lighting and a pastel color pallet, all of which create a very dreamlike atmosphere. 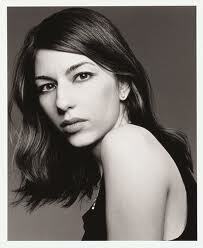 Coppola also uses music as a strong way to link her characters to the overall theme of her movies as well. I find all of these qualities appealing because it not only speaks to my own sense of aesthetics, but it also has an overall refreshing and visually pleasing quality that is not often found in films. Because she is considered an "indi-filmmaker," her movies aren't usually shown in bigger movie theaters, which is why I encourage people to check her out. As female directors often don't get recognized, Coppola is a very talented filmmaker that has created many interesting and entertaining films and should be acknowledged more for her work. 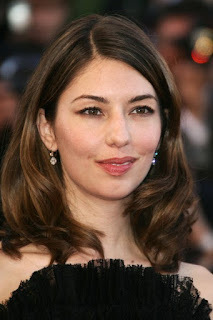 The above link gives background information about Coppola, including aspects such as her family, how she started to get interested in the film industry, and various films she has produced. An interesting detail I learned from this website was that in 1994 she helped to co-launch a fashion line in Japan called Milk Fed. The above link is an interview Coppola did with The Guardian where she discusses her most recent haunting film, The Beguiled. It also goes into detail about various themes Coppola experiments with in the film and different perspectives it portrays. Th link above discusses Coppola's various films and goes into more detail about the inspiration behind her work. Coppola talks specially about the creating of The Bing Ring, which is based on the true events of a couple of teenagers robbing rich neighborhoods to stay "on-trend." Ben Howard is an English singer-songwriter. He is also know as being a musical composer. I was first introduced to Ben Howard in my sophomore year of high school. A friend of mine showed me his song called I Forgot Where We Were. I remember growing up and going on night drives that consisted of listening to Ben Howard. 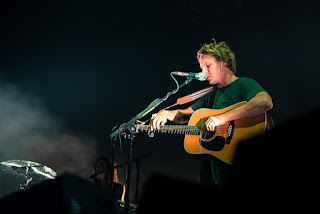 Ben Howard's music is very soft and uses a lot of guitar. I would classify his music as folk or indie folk with ambient rock. I really enjoy his music because it makes me reflect on my life and experiences that I have had in life. I usually gravitate to music that is "slower" and not as upbeat/happy. Some of his songs are more upbeat like Keep Your Head Up, while others like Promise have a slower rhythm and softer tone. I really enjoy how Ben Howard uses music to express the heartbreaks and trials that he has had in his life. I have an easy time connecting to the music, which makes it all that more enjoyable to listen to. I really recommend giving a couple of his songs a listen if you enjoy "calm" and music that brings you back to a certain moment in your life. Cite: “Ben Howard Age, Hometown, Biography.” Last.fm, www.last.fm/music/Ben+Howard/+wiki.